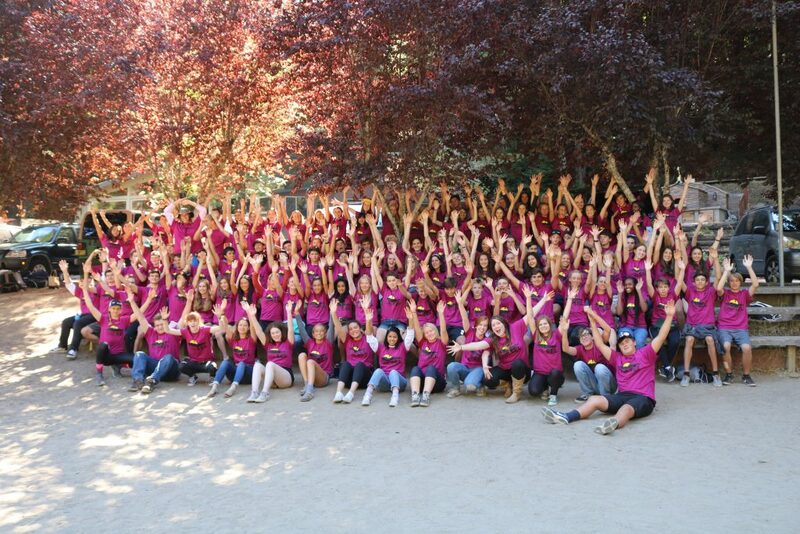 Within Terra Linda High School in San Rafael, California, 124 students have dedicated their four high school years to the rigorous pursuit of becoming environmental leaders. 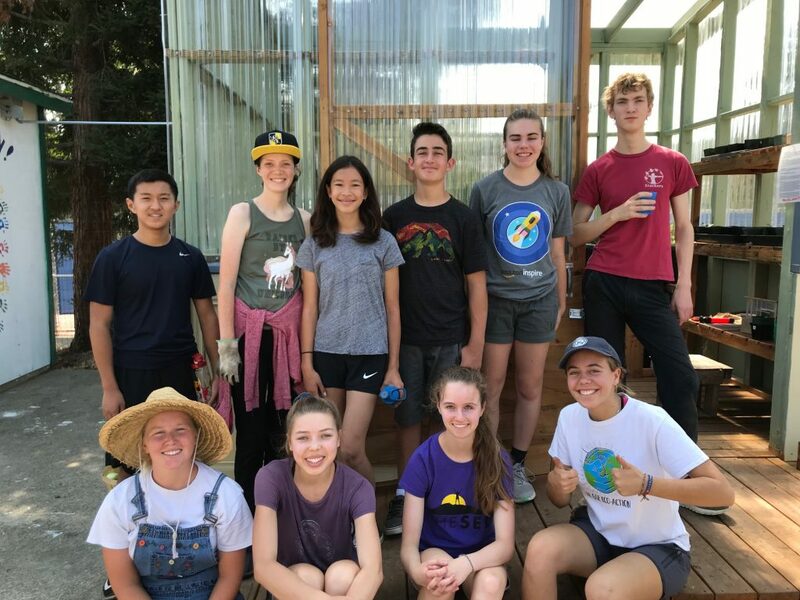 These students form the Marin School of Environmental Leadership (MarinSEL), a project-based, environmentally-focused, “school within a school” that emphasizes development in leadership and 21st century skills. Every year, MarinSEL prepares its students for the real world. Students go through a rigorous application and selection process in eighth-grade, with educators assessing leadership potential, social aptitude, and academic ambition to put together a class of 32 students who are likely to work well collaboratively, are critical thinkers, and have a hunger for learning. The four-year program is designed to give students increasing ownership and independence over their educational experience. The SEL does this by integrating academics, leadership, development, public speaking, creative arts, technology, engineering, project management, environmental justice, and community service, all of which focus on the Four C’s: Collaboration, Communication, Critical Thinking, and Creativity. Project-based learning in MarinSEL begins in freshman year with Leadership and Environmental Action Development Projects (LEAD projects for short). LEAD projects are semester-long projects focused on environmental issues in the community. Students work with an outside community partner, typically an adult professional working in an environmental field, on a real-world project. Sophomore MarinSEL students begin to assemble a portfolio comprised of items that document their work and growth throughout the four-year program. This process requires them to reflect critically on their work and growth and offer revisions. Students present their growth and documentation in front of a panel of peers, teachers, and industry and community members at the end of tenth-grade. During Junior year, students develop and implement a business through the Sustainable Enterprise Project. Every student designs a full business plan in the fall, which is presented to a panel of mock investors. The top seven student businesses are selected, students are put into groups, and these businesses are fully implemented in the spring. 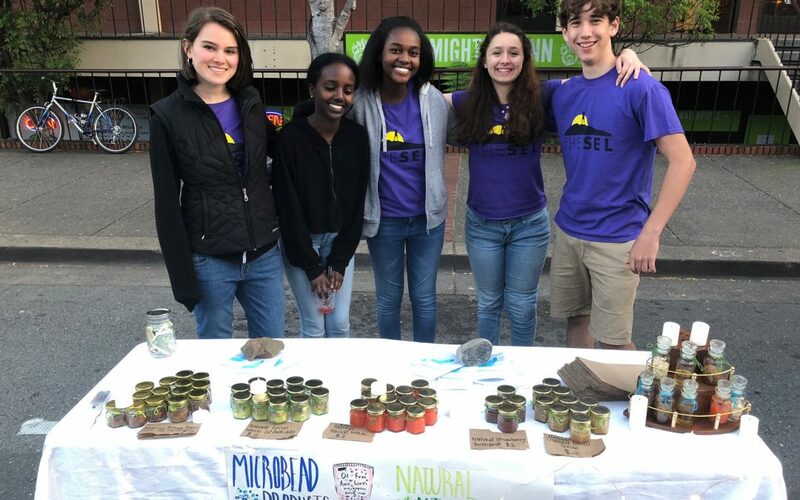 Students create and sell their products and must meet a triple bottom line: their business must be economically profitable, environmentally beneficial, and equitable. The Senior Internship is designed to provide students with real-world work experience, job skills, and knowledge. Students create resumes and cover letters and take part in an interview process to be placed at their internship host organization. Upon completion of their eight-month internship, students present their findings in a formal poster seminar to industry and community partners and their peers. 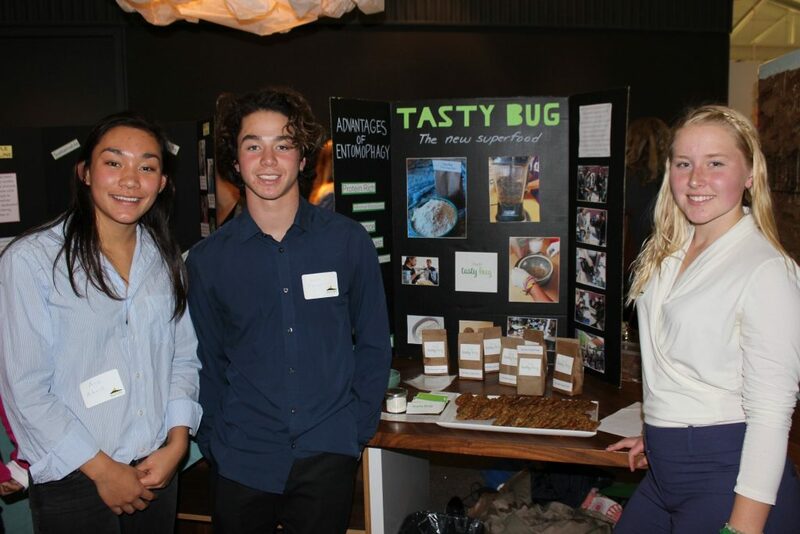 While Ally secured a marketing and communications internship at Strategic Energy Innovations (SEI) this year, other students have secured internships that involved creating a website for San Rafael Airport, creating a zero waste system for the Marin County Office of Education, and developing curriculum and giving elementary school students lessons on marine biology with All One Ocean. Students have also helped to create a database of teachers for Educational Tall Ships, an organization that takes kids on educational sailing trips. There are seven full-time MarinSEL teachers, with most teaching classes in the main high school and the SEL. The SEL also counts two faculty members from the nearby College of Marin, who provide focused classes specifically for the curriculum. “As an educator, it’s incredible to be part of a program that differs from mainstream approaches to learning. Over the last couple of years, we have been trying to implement the Rigorous PBL which involves three levels of learning: surface, deep, and transfer. In short, surface learning involves basic understandings of things, and deep learning is the correlation between things. In most mainstream classes this is where the learning stops. But in MarinSEL, we try to push students into the transfer level which involves applying things to many different scenarios and situations. It is that level of learning that will serve students well when they need to make decisions in the real world and constantly adapt to changing situations. “I design my lesson plans with the intention of having students improve their communities. 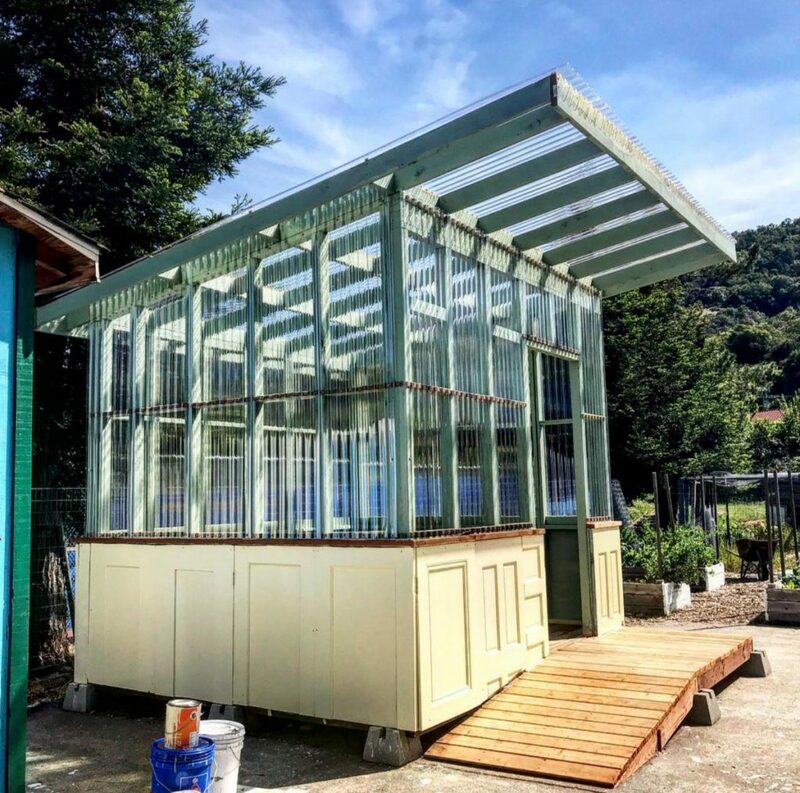 By learning to work together, using academic and physical skills, and using reclaimed and recycled materials, my class course is designed to teach and encourage sustainability, positivity, creativity, and community involvement. 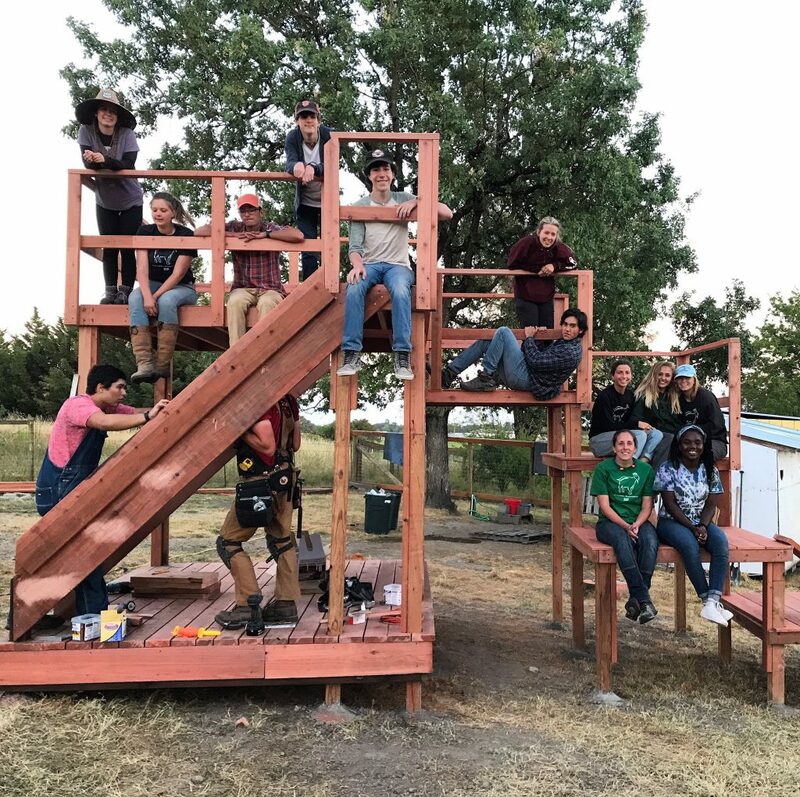 “My class is unique because it encourages students to be self-sufficient and to have the confidence to go outside of their comfort zones – academically, physically, and creatively. This makes it possible to intellectually learn, physically build, and create throughout the entire curriculum. “Students are able to feel confident in my class because they build confidence in themselves and in each other throughout the class. They also feel what it’s like to be trusted by an adult. “As an educator, MarinSEL has given me the opportunity to teach a class that I think is perfect for students. I have support and get to work with a team. The class has changed my perspective on the future for environmental activism as a whole. MarinSEL parents form the backbone of the program, providing financial support and volunteer hours. Michelle Laurie is the parent of Joe, a sophomore at MarinSEL. “My son was nervous about starting his time at MarinSEL as the idea of staying with one group of students for most of his classes was a little daunting. High school is a big step and navigating the social structure and hierarchies is always a challenge for a young teen. To fit in the extra class required by the SEL curriculum, the school day starts at 6:55am – a daunting thought for the entire family! “Any fears were quickly forgotten, and Joe has found that the early morning and continuity of classmates is a benefit to his education. The MarinSEL curriculum very quickly encourages students to gain real-world experience. As parents, we know that schools can only teach so much and the SEL forces them to be curious, to look beyond the basics, and to become active members of society, with a passionate outlook on their future. “As a community, MarinSEL brings together parents, teachers, and students who are dedicated to making the world a better place. The school encourages parental involvement, whether that’s chaperoning the yearly retreat, being a LEAD project mentor, or just showing up at events to spread the word. I’ve been incredibly impressed by its emphasis on collaboration, communication, creativity, and critical thinking. 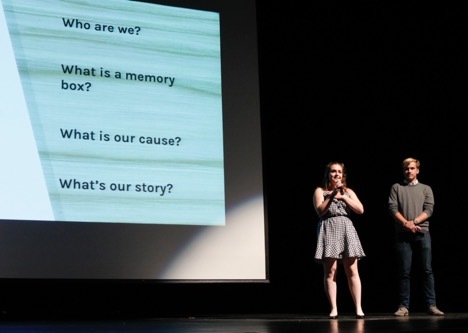 As a parent, watching these kids on a stage before their peers and educators, confidently presenting a multimedia project on a range of difficult topics, is invigorating. Our MarinSEL students are becoming the leaders of the future, leadership that can be nurtured through many streams. The emphasis on having a diverse group of learners is important – not every teen is a science nut, or a confident speaker, or even driven by a passion for activism. But the SEL capitalizes on the unique qualities of each student as an individual, giving them the chance to discover where they fit in and encouraging them to explore their own strengths, and improve on weaknesses. We have students who go on to study business, sustainable fashion, or pure environmental science. So, while the program’s emphasis is on environmental issues, students are exposed to a wide-range of challenging career paths. As a parent, that’s what I want for my son’s education – the opportunity to explore and challenge himself with new ideas to become a leader in the community. Michelle Laurie is a content creator and marketing director specializing in infertility and women’s health and is the parent volunteer marketing coordinator for the School of Environmental Leadership. Along with her son and husband, she spends many hours exploring the hills of Marin County on bike and foot. Ally Teper is a senior at the Marin School of Environmental Leadership. She looks forward to studying business and marketing during college in the fall. During her free time, she enjoys writing short stories and poetry as well as volunteering at the anti-social isolation nonprofit, Beyond Differences.